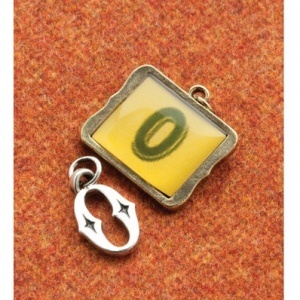 From Making Memories, these Vintage Groove Alpha Charms offer simple sophistication meets antique-style. Create monograms or personalised accessories with unique sterling plated and alloy letter charms. Each package contains two pendants featuring the Letter O.